It’s your last chance to catch the DCI Tour in Florida as drum corps round out their three-day event series in Daytona Beach today, Tuesday, July 12. The entire lineup of competing corps is scheduled to be webcast through the DCI Live! streaming video platform. Eight corps will take the field at Municipal Stadium this evening, with the action getting underway at 7:30 p.m. ET/ 6:30 CT / 5:30 MT / 4:30 PT. • Sophomore Open Class corps Heat Wave will enjoy the support of its home state for one last competition tonight. Following, the group will take a short break before hitting the road for its next competition in Biloxi, Mississippi on July 26. • Scores were climbing on Monday night during the DCI Jupiter competition, the second show of the DCI Tour series in the Sunshine State. All eight corps put up their highest marks of the season, with the Bluecoats (81.250) becoming just the second corps this summer to pass 80 points. Members of the Cadets (78.350) are also well on their way to 80 at this point, and they'll be looking to put in one more exceptional performance in Daytona Beach to see how close they can get. • After passing 80 points on Monday, the Bluecoats will be looking to stay above that scoring milestone. 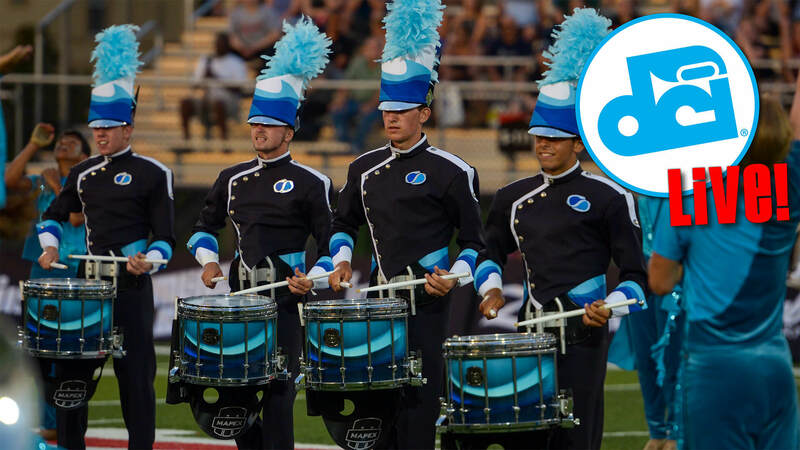 Members of the Ohio corps will no doubt be looking at the tour schedule ahead as they get ready to face off against the Blue Devils for the first time this coming Sunday in DeKalb, Illinois. In comparison, the Blue Devils scored an 81.350 in Omaha, Nebrska on Monday, leaving a tiny tenth of a point difference between the two undefeated corps. • Look for the Boston Crusaders to try to close the gap on the Crossmen tonight. After finishing ahead of the San Antonio corps during their first matchup of the season in Massillon, Ohio on June 25, Boston has fallen behind ever since. Able to score above the Crossmen in total General Effect on the score sheets on Saturday in Lakeland, every tenth of a point will count as these two corps look to ensure they have footing for a top-12 finish come August in Indianapolis. Register now to see this exciting event this weekend broadcast via DCI Live! This is a show you won't want to miss!